Almost as soon as a person begins any serious exploration of the Christian heritage, he or she invariably runs across references to “the Fathers of the Church” or “Early Church Fathers.” The impression is clearly conveyed that these people are important. Protestant, Orthodox, and Catholic writers all tip their hats to them. Official documents of the magisterium (see Dei Verbum 23) extol their authority. First of all, let’s get clear who the Early Church Fathers are NOT. The apostles and other heroes of the New Testament era stand in a class all their own. 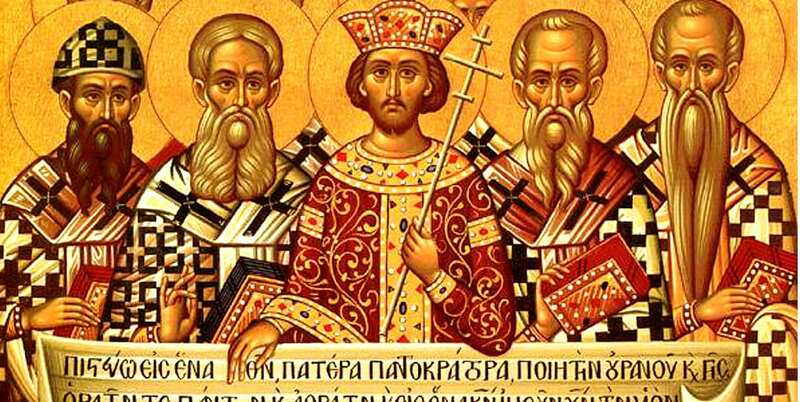 They are not regarded as Church Fathers. Neither are great theologians and doctors of the Church from Medieval or Modern times such as St. Thomas Aquinas or St. Robert Bellarmine. So if these venerable writers are not Church Fathers, who are and why are do they bear this title? First of all, “Church Father” is not a formally conferred title, as is “Doctor of the Church.” There is no official and exhaustive list of the Church Fathers. Instead, the designation results from popular acclaim and long-standing tradition that came about in this way. In ancient times, teachers were commonly regarded as intellectual fathers. Some great Christian teachers from the early centuries put their teaching into writings that continued to teach and guide the community of the faithful long after their passing. In disputes over doctrine and the proper interpretation of Scriptures, these early writers were cited and referred to as “the fathers” or “the Fathers of the Church.” This popular title “stuck” and the designation over time was expanded to refer generally to all the great orthodox, Catholic authors from about 100 AD to about 800 AD. This time period is not as arbitrary as it may seem at first glance. It is roughly coterminous with the first seven ecumenical councils of the Church which defined and defended the two most fundamental dogmas enshrined in the Creed–that we believe in one God in three persons, and that Jesus Christ, the savior of the world, is true God and true man. This is the time period also in which both the canon of Scripture was clarified and the great liturgical traditions of the Church–including Roman, Byzantine, and Maronite–took their distinctive form. The Catholic teachers and writers of this period played a role that can never be played again–they transmit and witness to the ancient apostolic tradition and give a decisive, classic shape to that heritage. Most of these writers were saints. Some of them, such as Tertullian, fell noticeably short. Saint or not, none of them are personally infallible. If they should agree on anything, it would be rather remarkable, since this disparate group spans seven centuries and three continents. But their teaching does agree on a great many points, and this is a testimony that such teaching did not originate with them, but is rather being transmitted by them. 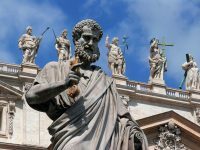 It is in their consensus that the Church, from the earliest times, has regarded them as infallible commentators on Scripture and the unwritten apostolic tradition. Their importance to apologetics and dogmatic theology goes without saying. When people claim that devotion to Mary is a medieval invention, you can conclusively prove otherwise simply by going to the Fathers of the Church. The same can be done when Da Vinci Code alleges that Constantine invented the Divinity of Christ. That’s why Catholic Answers constantly cites the Fathers in its apologetics tracts and in “The Fathers Know Best” column of This Rock magazine. But just as we read Scripture for more than apologetics purposes, so with the Fathers. We would agree with the late Cardinal Jean Danielou: the Fathers “are not only the truthful wit­nesses of a bygone era; they are also the most con­temporary nourishment of men and women today.” One of the greatest ways to grow in the spiritual life and be imbued with the Catholic Spirit is to read the writings of the Early Church Fathers. In approaching their work, we should not simply be looking for information, but formation–to receive from them an authentically Catholic vision and a truly passionate zeal for holiness. 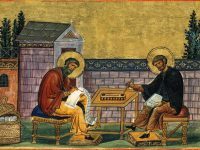 Church Fathers: Where to Begin? So how can we get started in reading the Fathers? Where is the best place to begin? Fortunately, a reading plan has already been laid out for us by the Church. In the revision of the Divine Office mandated by the Second Vatican Council, the late night hour of “vigils” was transformed into the “Office of Readings” which can be done at any hour of the day. It includes one of the longer psalms, broken up into three parts, a page-long reading from the bible, and a non-biblical reading about a page long, most usually from one of the Early Church Fathers. This patristic excerpt is either a commentary on the biblical reading, the liturgical season, or the saint of the day. Thus the office of Readings is a ready-made collection of, as it were, the Fathers’ Greatest Hits, an introduction to the most accessible, inspirational and instructive nuggets from the patristic goldmine. Intimidated by the complexity of the Divine Office? Not to worry. The Office of Readings is rather simple to follow and is more easily accessible than you might think, both in print and online. It is the most accessible entry into the world of the Fathers. My advice would be to begin at the beginning. The “Apostolic Fathers” are the earliest of the Fathers of the Church and are known as “apostolic” because their life-span overlapped to some degree the life-span of at least some of the apostles. In some cases, there is evidence that some of these “Apostolic Fathers,” notably St. Polycarp, had personal contact with an apostle. 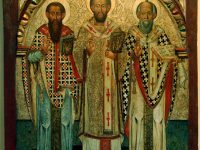 Beyond the simple sequential fact that they come first and can lay the groundwork historically for the understanding of later fathers, there are two other good reasons to start with the apostolic fathers. One is that they have undisputable apologetic value as witnesses to unwritten apostolic tradition. Secondly, they are, for the most part, simple, pastoral men like the apostles and are therefore easy to understand. You don’t need to take a course in Platonic philosophy to make sense of their writings. In fact many of the documents of this period follow the same basic format as what we’re already used to in the New Testament–pastoral letters and “acts” of the martyrs. Of course it would be helpful to read a brief bit of biographical and historical background before delving right into the documents. There are several convenient sources of such information. But beware of making the mistake of spending so much time preparing that you never actually read the texts. The great thing about the apostolic fathers is precisely that there really aren’t too many necessary prerequisites to reading them. There is an writing by another apostolic father that is even earlier than the letters of St. Ignatius. It actually dates from around the same time, many scholars believe, asSt. John’s Gospel. 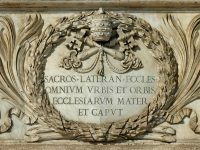 In response to a revolt against the clergy of the Church of Corinth, a letter was written by the bishop of Rome to the Corinthians around 95 AD. Clement, remembered in the Roman Canon (Eucharistic Prayer #1) as the third bishop of Rome after St. Peter, humbly but firmly calls the Corinthians to reinstate the deposed clergy of the city, but does so through a lengthy discourse on humility, faith, and love as taught throughout the Scriptures. It is a wonderful example of what first century preaching must have been like, providing a distinctively Christian commentary on the Hebrew Scriptures before the New Testament, as we know it, was fully assembled and recognized as Sacred Scripture on a par with Moses and the Prophets. Rather than being rejected by the Corinthians as Roman interference in their internal affairs, Clement’s letter was warmly received and taken to heart. The Corinthians continued to read the letter aloud in Sunday liturgy alongside the Scriptures for generations and generations afterwards. In fact they saw such value in this letter that they copied it and circulated it throughout the Christian world, making it the first Papal Encyclical (not counting the New Testament letters of Peter). It was so widely acclaimed that when book binding was finally invented in the fourth century, some prominent volumes of the Bible included the Letter of Clement alongside of Peter, Paul, and John. This may sound strange, but several of the “apostolic fathers” are not persons, but writings. We don’t know for sure who their authors were. We’re not even sure who the original audience was supposed to be. What we do know is that they are treasures that build up our faith and provide us intriguing glimpses into early Christianity. Interested in apologetics? Then you must read the earliest surviving “apology,” the Letter to Diognetus (ca. 125AD). Whoever Diognetus is, one thing is sure–he is an important pagan. And whoever the author is, his purpose is clear–he wishes to defend a faith that is misunderstood, maligned, and persecuted. In just twelve paragraphs he distinguishes Christian religion from both paganism and Judaism and provides a description of Christians as the soul of the world. His sense of the drama of salvation and the newness of Christianity is indeed invigorating. Interested in moral and liturgical issues? Then you have to read the “Teaching of the Twelve Apostles,” popularly known as the Didache. Lost until the end of the 19thcentury, this mysterious work, dating also from about 125AD, appears to be a combination of two earlier documents, the first a moral catechism, the second a liturgical manual. These component parts very well may come from the New Testament era. In the Didache we find the first clear equation of abortion with murder and earliest affirmation that baptism may be done by pouring of water over the head as well as by immersion. The few writings we’ve mentioned so far are just the beginning of the Apostolic Fathers and the larger body of the Fathers of the Church. But that was the goal of this article–to answer the question of who they were, why they are important, and how and where to begin exploring their writings. Stay tuned to future issues of This Rock for a subsequent article on how best to approach the later and more challenging Fathers, such as Augustine, the writer of those 4 million words, and the only Popes in history to be called “the Great,” St. Leo and St. Gregory. Between then and now, keep reading This Rock but for God’s sake, start reading the Fathers! Online, you can read the office of readings day by day, with the second non-biblical reading (usually from the fathers) included, by going to www.universalis.com, an Anglican site that follows the Roman Liturgical calendar. To access virtually all of the patristic selections from the office of readings, available anytime and organized by author and topic, visit www.crossroadsinitiative.com. Short biographies of the Fathers of the Church can be found in numerous places such as the Catholic Encyclopedia at www.newadvent.org. One caveat is that there is some important research available now that was not available to the authors of the very fine Catholic Encyclopedia of 1914, notably on such fathers as St. Hippolytus. So I would encourage you to make use of a more recent source in addition to this fine 1914 work, such as the multi-volume New Catholic Encyclopedia (Catholic University, 1967), the one-volume Oxford Dictionary of the Christian Church, 3rd edition, or the articles on the fathers at www.crossroadsinitiative.com. My book When the Church Was Young: Voices of the Early Fathers (Servant, 2014) is a good popular introduction to over twenty of the fathers with excerpts from some of their writings. This book and my EWTN series on the Early Church Fathers, available on audio CD or DVD video, are available at www.crossroadsinitiative.com. For printed works of the apostolic fathers there are many multi-volume collections such as Ancient Christian Writers series from Paulist Press, the Fathers of the Church series from Catholic University of America Press and the Ante-Nicene Fathers series. For an affordable, one-volume paperback edition containing all the apostolic fathers mentioned in this article, get Cyril Richard­son, Early Christian Fathers (Mamillan, 1970). All the Apostolic Fathers mentioned here plus more are also available online at www.crossroadsinitiative.com.